This is a walking tour of the Lower East Side of New York. 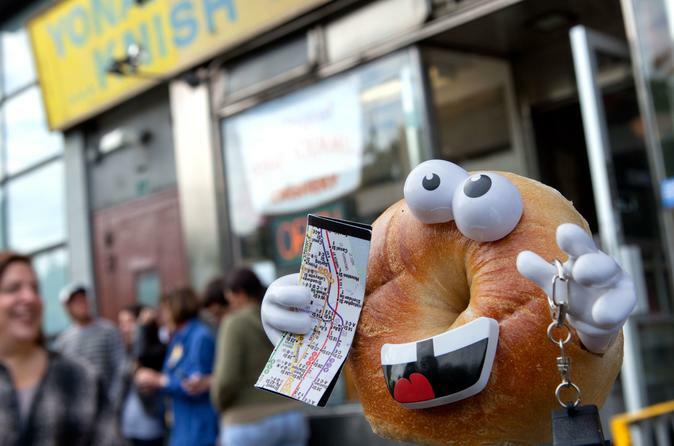 Famous establishments to be visited with mouth watering nosh/tastes are Yonah Shimmel's Knish Bakery, Russ & Daughters, Katz's Deli, Economy Candy, The Essex Street Retail Market, The Pickle Guy and Kossar's Bialys. See historic synagogues, museums and historic markers of what made this neighborhood a legend throughout New York City and America. Remember, all tour participants start off with a fresh bagel! - The Iconic Symbol of New York!